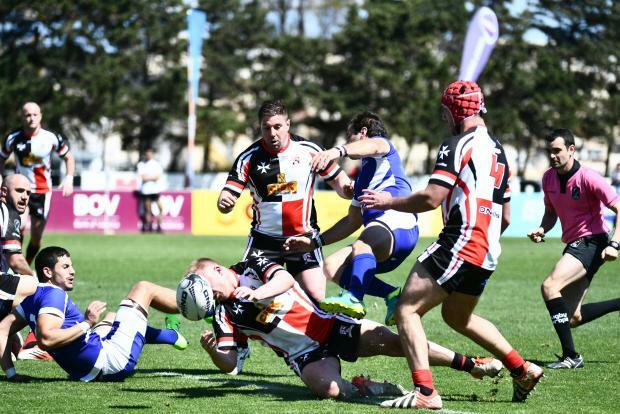 The Malta rugby national team have virtually assured themselves of finishing on top of Conference South 1 when they battled past second-placed Israel 24-17 in Netanya on Saturday. After winning their opening two matches in emphatic fashion against Bosnia (52-20) and Croatia (56-8) last year, Damien Neill’s men knew that victory against the Israelis would put them within touching distance of securing top spot in the section with one match to go. The Maltese started strongly and Anthony Harvey scored the game’s first try with James O’Brien duly converting to put the visitors 7-0 ahead. Malta lost Luke Watts after he was sinbinned for a high tackle. But the Maltese kept their composure despite the hosts’ increasing pressure and went on to score a second try through Watts, against converted by O’Brien to extend their lead to 14-0. Israel finally struck on the stroke of half-time when Ori Abutbulu touched down underneath the posts before he himself sent over the conversion to leave Malta 14-7 at half-time. Abutbulu bridged the gap to 14-10 from a penalty early in the second half. But Malta grabbed their third try through Watts again to surge 21-10 ahead. But the Israelis kept fighting and they set up a tense finale from another Abutbulu try. But O’Brien scored from a penalty to seal a 24-17 win. Malta end their commitments on Saturday when they face Andorra at the Hibs Stadium.